Saryu is a marketing professional with 3+ years of marketing experience across industries in the US and Asia. 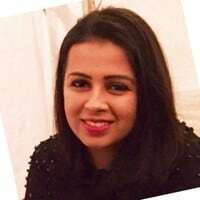 She is focused on marketing artificial intelligence and automation solutions at Genesys. Saryu loves dogs and wants to open a rescue center someday. She is currently in business school and will be graduating with her MBA in marketing next year.